It's no secret that I love WWE. It wouldn't be a stretch to say that I am obsessed. I love the excitement and action. It's entertaining. However, WWE is so much more than just entertainment. It's more than a show, it is a movement. WWE does so many things for the community outside the ring and arena. They use their fame to make a difference in the world. One of the many charitable organizations they support is Susan G. Komen. 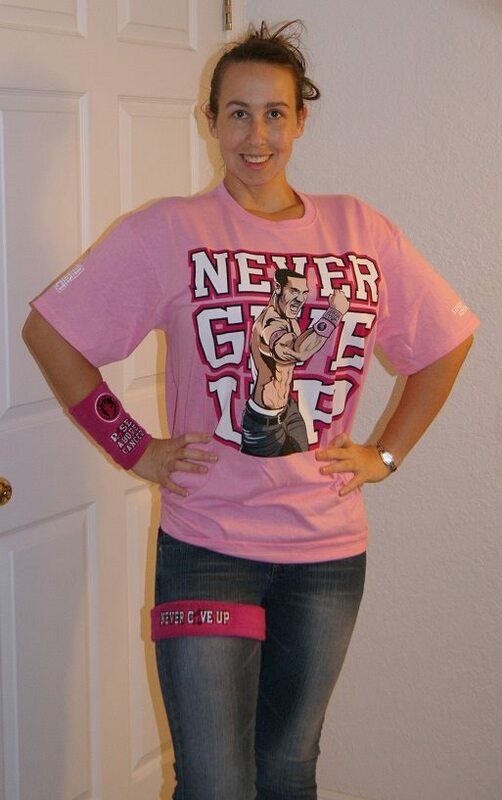 WWE is raising awareness and funds to help find a cure for breast cancer. I am so inspired by their constant efforts. I have supported WWE's Rise Above Cancer moment for years. Their special co-branded merchandise not only raises money for the cause, but also serves as a poster of awareness and support every time I wear it. I can't wait for the new apparel to be released in October, but right now, I am super excited about another campaign that WWE is working on alongside Susan G. Komen. WWE and Susan G. Komen are hosting a contest to honor breast cancer survivors who are doing MORE in the fight against breast cancer through the Share Your Story Survivor Essay Contest. You can enter an essay HERE. Three survivors will win an ultimate WWE fan experience at SummerSlam 2016 and will be featured in WWE and Komen public service announcements that may air on TV, online, in WWE venues and on the WWE Network in October 2016. The contest began on May 5th and will run through May 27th. I am so so inspired by WWE's efforts and by all of the Amazing survivors. I am so proud to be a fan of a company like WWE, who does so much good. From Make A Wish to Be A Star to Hire Heroes and, of course, Susan G. Komen, WWE really uses their resources and fame to make a difference. I don't know how anyone could not be a fan of that.